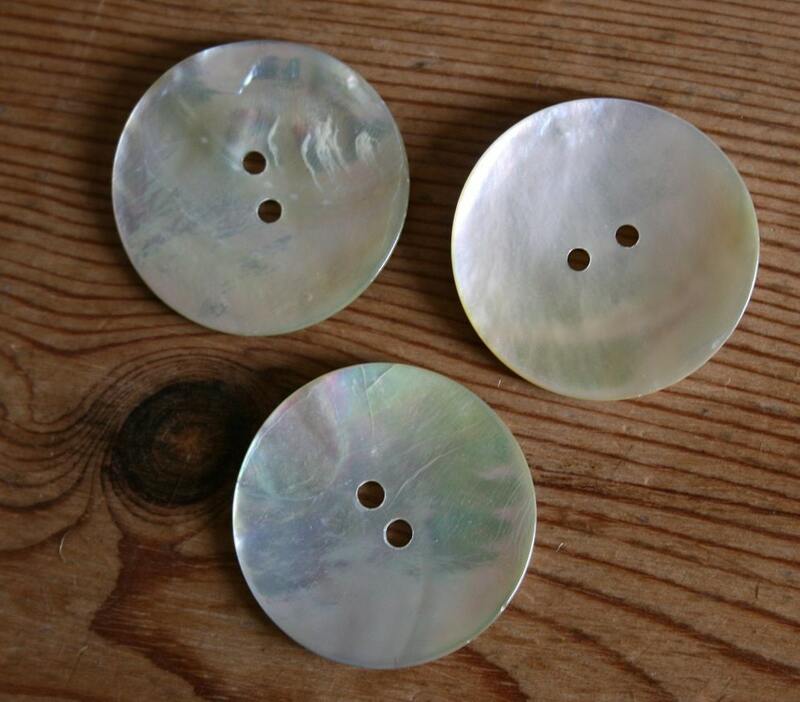 Vintage shell buttons with two holes and a pearly finish. These classic buttons are some of the remainder of the stock I accumulated during the 1990s when I was running my vintage-style clothing business. They would be ideal for trimming any of our bags, or on clothing. 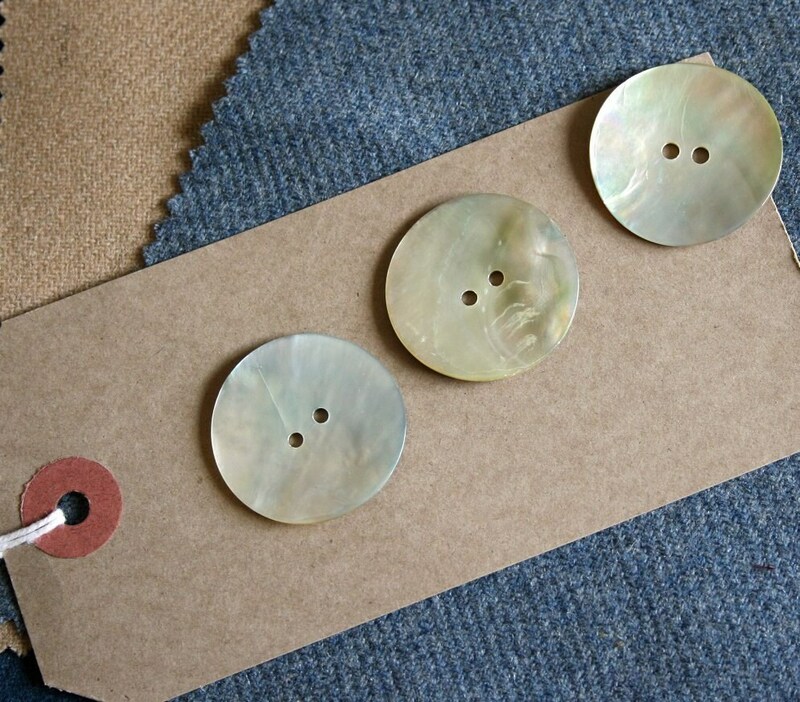 They measure 28mm or 1 1/8" diameter and you will receive three buttons for $1.80. Please note that this listing is for set of THREE buttons that will be posted to you at the address provided by Etsy unless otherwise stated. After I receive payment, your buttons will be posted within 48hrs. All buttons are sent via first-class mail from the UK. Insurance and/or alternative shipping methods are available on request but at extra cost.